"Action" is the word that is called out-loud to indicated to the actor(s), or other performers, that it is time to begin their performance or to deliver their action or dialog. Behind the camera, all crew personell will complete their tasks during the set-up of a scene. The phrase "action" is probably one of the most widely comprehended terms from the film industry, throughout most of the history of film production and visual content creation. 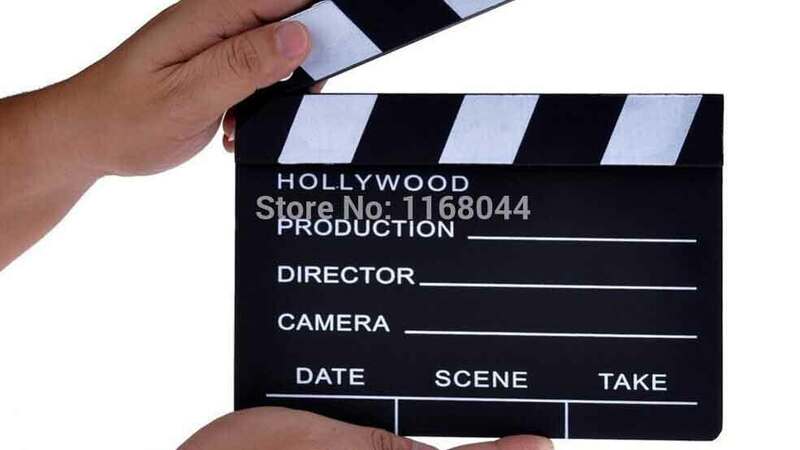 Actors or performers will be positioned within the cameras view and the 1st Assistant Director (1st AD) will announce to the crew that "Picture is Up", meaning that they crew should be set and cameras are about to roll. The AD will call "roll sound" and then "roll camera(s)". Camera operators and sound recordist will echo by saying "camera speeds" and "sound speeds" indicating that cameras and audio record devices are recording. When both camera and sound are rolling and/or recording, the phrase "Action" is called out. Occasionally, the 2 sylable word 'Action' is called out by the director or the 1st AD will run into the dialog of the Actors. If if is a high intensity or energetic scene, the actors may feel they want to start speaking at the very moment they hear the 'Ac-' of 'Action' and they will behin their dialog before the director has completed the second sylabil "-tion" of "Ac-tion". This is referred to a "stepping on" dialog, whereas the directors "Action" call has stepped on the first word of dialog. Professional actors or experienced hosts know to take a moment or pause for a Beat once Action is called. However, it's quite common to work with children or less experienced actors that may not have the experience to pause before action. Other times, the scene requires a more abrubt Action call where the two sylabil word Ac-tion will confuse the timing of something that needs to happen more quickly, on-queue. In these cases, it is common practice for a Director or 1st Assistant Direcor to call "Go" instead of the classic Action call. There are even some Directors that prefer to use "Go" as their standard Action call as well. One very well known usage of the word Action is when it is used within the classic phrase "Lights, Camera, Action!". The origin of this prase comes from the days of film production that used a very large number of high wattage lights indoors or Carbon Arc lights outdoors. When inside a studio or sound stage with dozens of lights that were required for the low ASA ratings of early film, the studio space would become uncomforatbly hot the longer the lights were left on. It was common practice to set up the lights and then turn them off in order to "Cool the set"...literally meant to keep the temperature of the set from heating up before the actors where in place and ready to perform. When outside, for a period of time, Carbon Arc lights were used to recreate the look of exterior sunlight. These Arc Lights contained metal weldling rods with electricity run through them, and when the electrificed rods where touched near eachother inside the lamp, an electrical flame would leap from rod to rod, emmiting a daylight balanced light source. Because these rods continually burn away as the lamp is emmiting light, it is preferred to turn off a carbon arc lamp whenever the camera is not rolling. In both the indoor and outdoor scenarios, the procedure on-set was to set-up the scene, bring in the actors and then call "Lights...", the lamp operators would turn on their lights, "Camera..." the camera operators would roll their cameras, and then finally "Action" was called to set the peformers into motion.